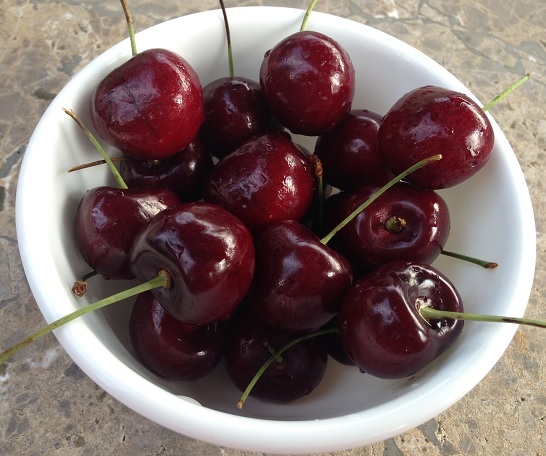 A beautiful bowl of summer cherries . . .
Of course, I couldn’t call back fast enough, and luckily I got the same assistant in this very busy office on the first try. It was, indeed, good news: a completely normal Pap report. And I got it a whole week sooner than I expected! As I reported in my August 13 post, I have been dismayed all summer by ongoing light vaginal discharge and a previously abnormal Pap that showed “epithelial cell abnormality” in the form of “atypical glandular cells of undetermined significance (AGUS).” A few women friends have told me they’ve had an abnormal Pap on one visit followed by a normal Pap on the next. But they hadn’t been diagnosed or treated for cancer of the uterus. Happily, though, this same thing happened to me, someone who has undergone a total hysterectomy and vaginal radiation (brachytherapy) for a potentially lethal disease. 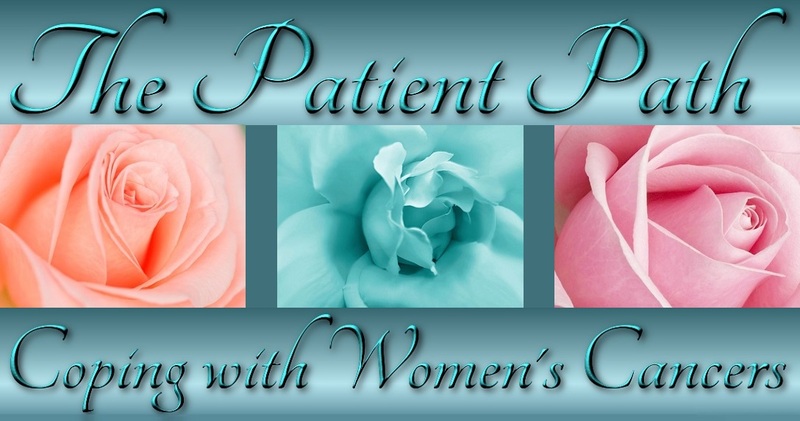 Wishing all my sisters out there struggling with gynecologic cancers the very best as they persevere with their treatments and wait . . . patiently . . . for test results, possibly the hardest thing cancer patients are called upon to do. And, again, heartfelt thanks to Pat for sharing this uncommonly happy day with me yesterday and for serving me a lunch that, fittingly, ended with a lovely bowl of cherries in the already waning days of summer (I won’t mention the Klondike Bar). For more information about uterine cancer and my personal story, click here. And stay tuned for more information on this disease, as well as many other healthcare topics on our sister site, The Patient’s Path. Congratulations, Pam! 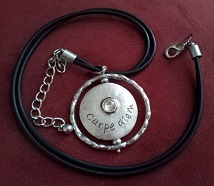 I love that the gift that your friend Pat gave to you looks so much like Hermoine’s “Time Turner” in the Harry Potter stories, as if to say that there is no opportunity to go back and redo, only the opportunity of the here and now. Thanks, Jim! Great observation. Time is a subject that “infinitely” fascinates me . . . especially in the here and now. Pam, everything aligned for a great day. Remain so happy about your news. Many coincidences right in front of us as Elizabeth G. mentioned in her talk. Thanks. And quadruple thanks to you, Pat! Happy to share cherries and EG with you! Similarly to what I said to Pat, so happy to share “bluebirds” and EG with you! This is one case in which “negativity” is a good thing–all negative medical test results!